At the recent IEM tournament in Cologne, Counter Logic Gaming played with as their sub, Thinkcard, after their jungler Xmithie was not able to get his visa in time. At the recent IEM tournament in Cologne, Counter Logic Gaming played with as their sub, Thinkcard, after their jungler Xmithie was not able to get his visa in time. Thinkcard played in the LCS before this, being a substitute for EG and the CLG sub team dubbed CLG White. Through his stint of LCS substitutions, and his time as a member of the challenger team LoLPro, Thinkcard gained a reputation as an upcoming jungler talent. Despite his highly mechanical skills, Thinkcard suffered from inconsistency in his play, and played with less-than-standard vision control. For example, his objective control and map movements at IEM Cologne lagged behind those of his competitors. However, he showed potential and a possibility to become an LCS-caliber jungler. In the end, CLG managed to reach the final of Cologne, beating the highly hyped Roccat, only to lose to Gambit Gaming. Even with his decent performance for the circumstances, some labelled him as a bad player. This is only one example of one of the biggest problems of the North American scene. That problem in particular is the common belief about the North American scene that there is a lack of upcoming talent. At first glance, that would seem quite true. Most of the top Challenger accounts are owned by current professional players, with seven out of the top ten at the end of the season being either Pobelter of Evil Geniuses or Wildturtle of Team Solo Mid. Looking at the teams currently in the LCS, a huge percentage of rosters contain older pros and well-known personalities, or players from the EU LCS, LPL, or OGN. 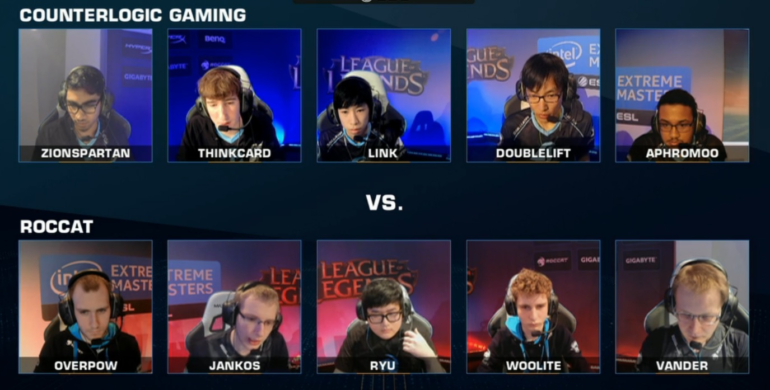 However, there are many Challenger players who have LCS-caliber mechanics. An issue with them is that they lack the competitive experience and comfortability at LAN events that most the current pros have. Back before the LCS started in Season 3, teams competed in various online and offline competitions held by third parties like IEM and MLG. While many team rosters lasted for a tournament before going through changes, rebranding, or disbandment, players were able to improve from playing against high-level competition. However, with the creation of the LCS, League has all but disappeared from outside tournaments, excluding those held by IEM, events which most players aren’t able to attend. Also, opportunities to get used to playing in a LAN setting decreased for aspiring pros. Only a few tourneys were held, such as the Black Monster Cup and NA Challenger League, both online. Even the Challenger Series, a Riot-created tournament used to give cash prizes and circuit points to allow participants the chance to possibly compete in the LCS Spring or Summer Qualifiers, was held online. Teams would play comfortably from their homes, or team house, and not get the experience to deal with the added pressure of playing in front of a crowd. This makes the new, upcoming players look less impressive as they would often end up choking when it mattered most (see H2K / C9 Eclipse, NiP with ZoroZero, C9 Tempest in the series against EG). Some teams would try over and over, keep failing, and talent like Zorozero would quit playing. Even with that, there are solo queue players who have never been involved with the challenger scene or been on a team who could be considered for spots. A problem that arises from these and many other players is either their playstyle, champ pool, or a combination of the two. In solo queue, a common thought is that you cannot trust your teammates and must try to carry. Therefore, people develop selfish playstyles that would not work as well in a team environment. While the player can develop a style that favors team play more, or have a team built around them to accompany their style, it is deemed more of a risk than getting an import or exchange who have already been trained to play on teams. Also, many Challengers and other high elo players get to their ranks by playing and mastering mainly one champion, becoming highly proficient with it, but being less well rounded. For example, Ninjaken (the jungle sub for TSM) is highly skilled with Hecarim and Nocturne, but doesn’t shine as well on other champions. This is a big problem if the player wants to play competitively. Having a decently-sized pool is important for dealing with possible bans. However, champ pools are something that can be worked at with diligence and effort. These players can be LCS worthy if given the chance and proper resources. Teams like Curse Academy are good examples. Liquid invested a lot of effort in picking up and developing players he felt had potential. He took these players and paired them with an experienced jungler (Saintvicious) who provided a solid foundation for the newer prospects, as well as higher level shotcalling. By giving his amateur team the opportunity to live with and scrim against their LCS counterpart gave them an edge over their competitors. It paid off in the end with the team qualifying in the recent Expansion tournament. Another way to give players opportunities to become LCS caliber is by placing them in team with already experienced players, akin to the roster swaps of Season 4. Teams in search of change after having a problems with their lineups began trying out new players. XDG chose Sheep to replace Bloodwater at the end of the Spring Split, becoming one of the shining lights on the team. Curse picked up Bunnyfufuu in the Spring Split as well after their support shuffle with Zekent and Saintvicious. He showed impressive play for the time given, especially on his Thresh. Even though he was switched out for the star player, former TSM support Xpecial, Liquid kept him around and let him play on Curse Academy. EG signed on Altec in the Summer Split after Yellowpete stepped down. He gained hype around him almost instantly with his impressive mechanics and showed he had the prospects to be a top three North American AD Carry in the future. Gleebglarbu was picked up by TSM in the Summer Split, and while it did not work out fully, it gave him experience and exposure. These moves help both the players and the individual teams. Players get a chance to test their skills against the highest level of competition, and due to the length of the regular season, these try-outs are essentially risk free. LCS teams recently even trialed Challenger players during the recent off-season, with players like the challenger support Adrian going LMQ (now known as Team Impulse). There is so much potential in the North American solo queue ladder. However, these players just need help to reach their potential and compete at the highest level. CLG using Thinkcard, even though just as a sub and due to their circumstances, gave him a chance to gain experience and improve overall. Hopefully, this will set some precedence to the development of amateur talent in the future.